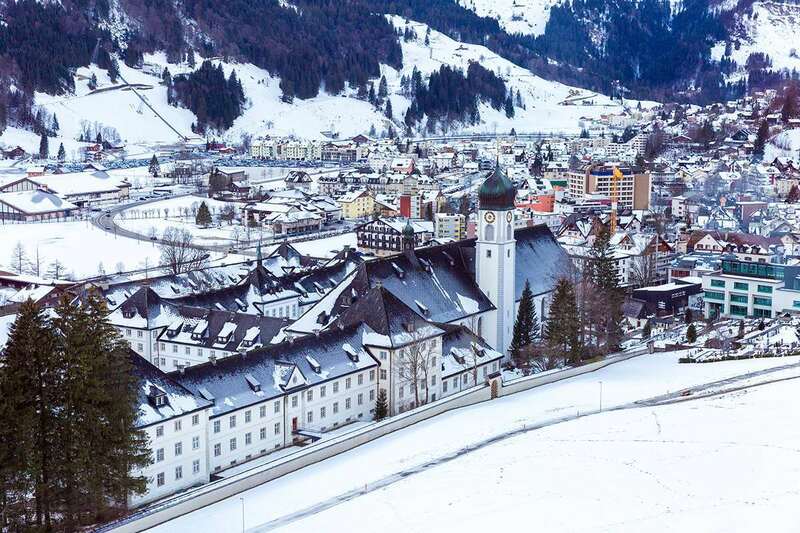 The Hotel Hoheneck is situated in the centre of Engelberg, close to all the resort amenities. It is a 10-minute walk to the gondola, although the free local ski bus conveniently stops just outside the door. The team at the Hotel Hoheneck are friendly and accommodating, ensuring a high standard of service for all their guests. Within the hotel, rooms are individually decorated with a simple, quirky elegance, focusing on a pleasant and comfortable stay. With live music throughout the season, the hotel’s apres bar is popular with locals and tourists alike. There is a cosy, boutique-style lounge with an honesty bar for those who prefer a quiet drink and a restaurant, serving rustic mountain food. Bed & breakfast as standard.